Housing association Aster Group targets building 1,000 homes in its current financial year after completing 939 homes in 2017/18. The group invested £180m in housing in 2017/18, completing 939 homes and is on track to build at least 1,000 properties during this financial year, Housing association Aster Group has reported. It has plans to deliver over 11,800 new homes in the next seven years, equating to a £2.1bn investment. Revenues at the group, which owns and operates 30,000 homes with 90,000 customers, increased by 7% to £204.7m in the year to the end of March 2018. During the same period, pre-tax profit increased by 12% to £49.7m. Aster operates a ‘not-for-dividend’ model, leveraging the £1.5bn of assets on its balance sheet and reinvesting profits to boost the scale of its development programme, upgrade existing stock and services and fund The Aster Foundation programme. Sales from shared ownership – a key part of the group’s strategy – increased by £16m to £36.3m, with 357 homes of this tenure completed. Bjorn Howard, Group CEO of Aster Group, said: “We have developed a focused strategy that prioritises building more homes across a range of tenures and on bigger developments as we play our role in tackling the UK’s housing crisis. This puts us in the best possible position to succeed as a business and was crucial to us enjoying a record financial year in 2017/18. During the past year Aster has boosted its development pipeline through joint ventures, investing in existing communities and extending its geographic footprint. 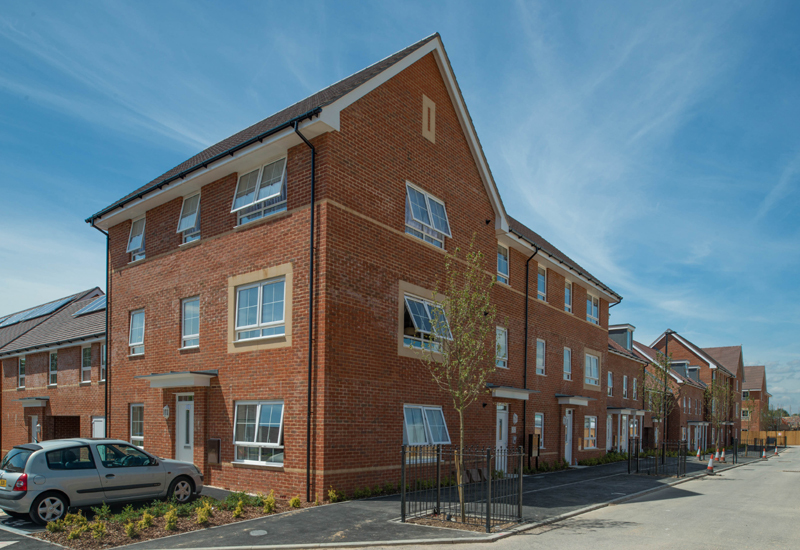 Its joint ventures with Galliford Try – delivered by its housebuilding arm, Linden Homes – are expected to deliver almost 900 homes over the next six years at Boorley Green in Hampshire and White Rock in Devon. Earlier this month, Aster announced it has formed another new joint venture with Galliford Try for the development of a 130-home scheme near Horsham in West Sussex. The group said it would continue to invest in these kinds of partnerships as part of its development programme. Aster has also revealed through its land- and developer-led programme that it plans to build 400 new homes in Oxfordshire, 135 houses in Surrey and Sussex – its first forays into these counties – and 100 in Christchurch, Dorset.